This is the Mode, coming out of a community hiatus with another review. I will try to keep this one clean and relatively quirk-free, but no promises. 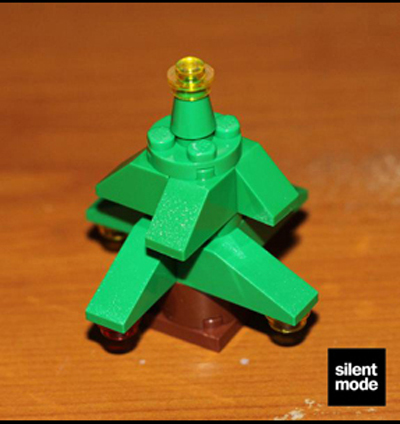 Previously on Lego City: Advent Calendar Chronicles… We followed the trials and tribulations of a family on British welfare, living in a quiet house in the suburbs, whose youngest child Timmy was about to celebrate a psychedelic, sausage-aroma filled Christmas. This year we’re venturing further into the woods, taking a more relaxed and wholesome adventure with the winter police. I was in Bluewater minding my own business, when I suddenly spotted this set on the shelves of the Lego store. 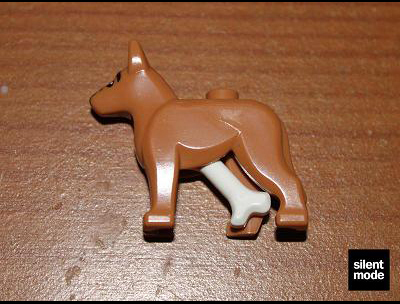 Thinking it’s a bit early to have an advent calendar released, I decided to find out what exactly was inside. My initial concern was with the weight of the box: for GBP 17.99 it felt a bit too light. Back of the box, encouraging all the kids who receive this set to add a few more items to their Santa list. On one of the sides of the box: some information to appease those concerned about Chinese plastic. As with the previous year’s advent calendars, the parts list is a literal collection of all the parts in the box, with no numbers and much smoother renditions. 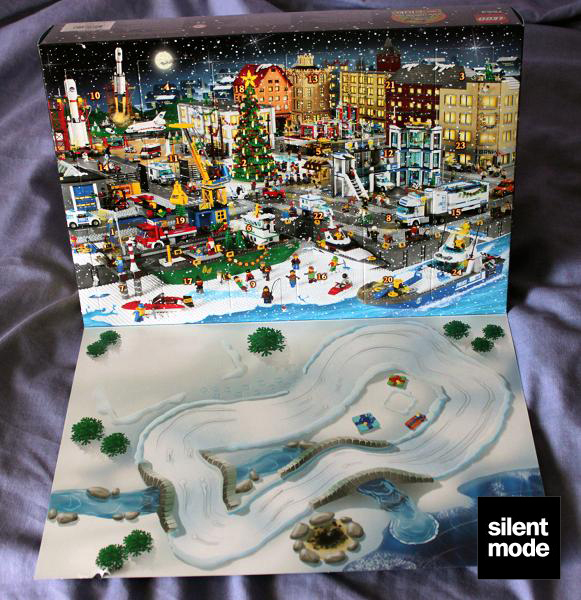 Undo the tape at the sides of the box, and it expands into the calendar and a small wintery play/display area. You’ll notice there are a couple of spots for some of the things we’ll be building. 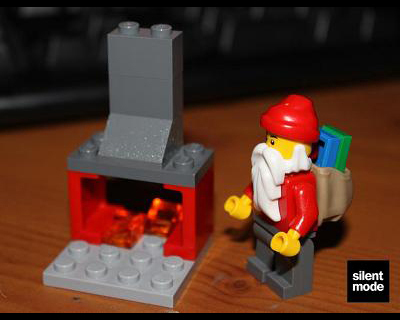 24: Fireplace and Santa with sack. All right, here’s what you get inside the calendar. A customary Christmas tree. I’m pretty sure this one is smaller than the one in last year’s City calendar, but it’s another chance to get hold of an increasingly uncommon green cone. A makeshift camp fire, complete with a Pearl Dark Grey Metallic Silver fish suspended on a whip. 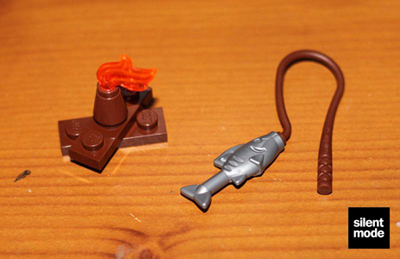 As I found out later, the whip is probably meant to represent a fishing rod, rather than something to cook the fish with. 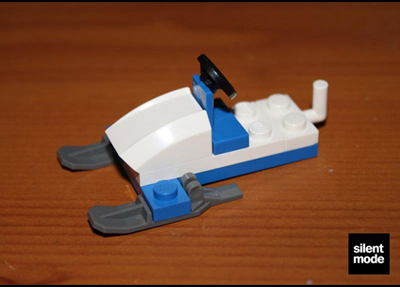 Two simple snowmobiles, same build with exactly the same kinds of parts. One is in orange/grey, the other is blue/white. 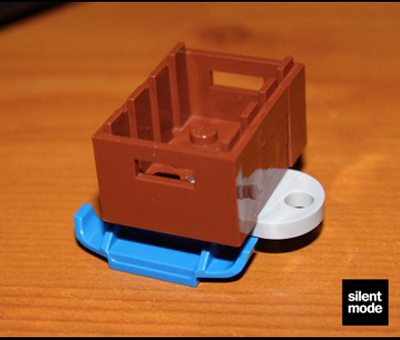 A sled to go with the blue/white snowmobile, complete with a large crate. What will go in it? 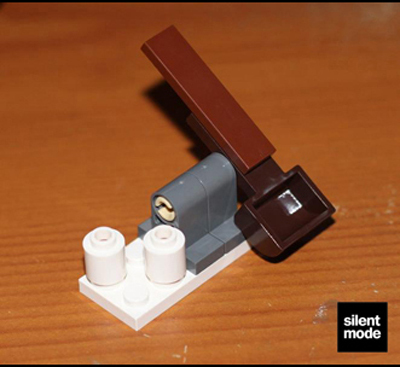 A tiny catapult that launches “snowballs”, this year represented by white round bricks. A similar model was in the Kingdoms advent calendar last year, I think. For the police station, two kinds of desk. One is for your hard-at-work pencil pusher; the other seems to be an investigative desk of some kind. 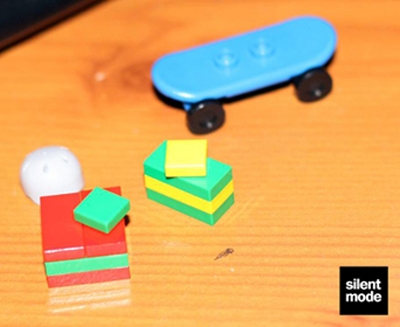 A special delivery for the potential skateboarder in this year’s City minifigure set – you know, the expensive one with the green bike and yellow construction hats. A very ingenious model of a safe: this one uses two small crates for both the walls and shelf, with a 2×4 plate serving as a door that clips on. You’ll be pleased to know the gold bars are of the shiny (but sadly not chrome) type. Up in the mountains, where the terrain is slippery and the criminals aren’t afraid to go off-road, there’s only one vehicle that will do the job all year round: an electric police buggygolf cart car. More seriously this comes in three parts. Probably the headline model in the calendar is of this façade of a mountain police station. This comes in four interlocking parts, each representing a wall. 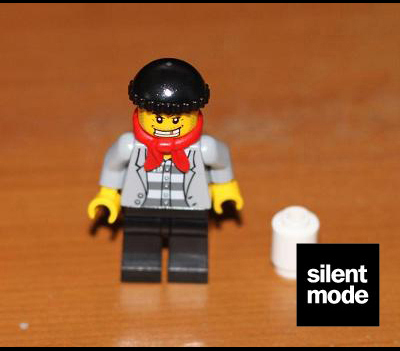 There are six minifigures in total in the calendar, as mentioned above, and here they are. The first of two criminals in the set, nicknamed “Scarf” McWolf. He comes equipped with a snowball, initially mistaken for a Thermos. It’s great to get hold of the grey jacket criminal torso. The second criminal, nicknamed stupid dead sheep shoes Duggins. 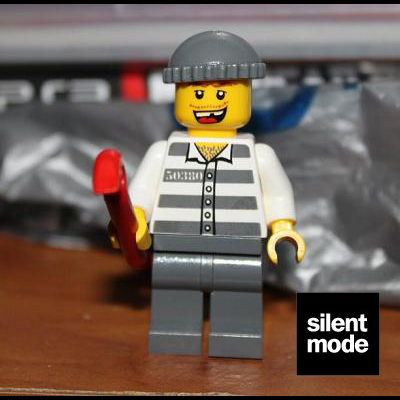 He comes with a red crowbar and itchy fingers. 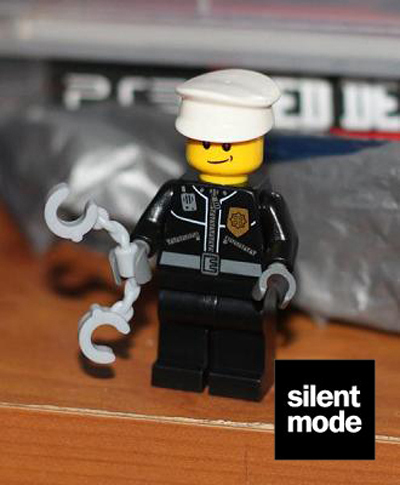 The first of two policemen: this one is Jim. Jim’s had an easy life so far, what with there usually being nothing to do and nobody to go after. Unfortunately his world is about to be turned upside down this Christmas. This guy clearly doesn’t take any you-know-what. 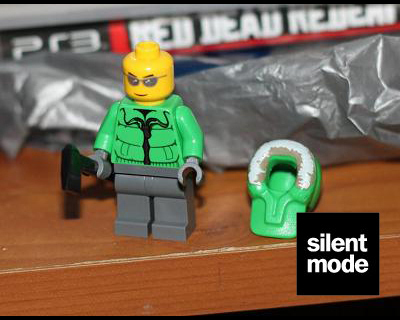 This minifigure is a little special. Not only does he have a unique torso akin to the S5 Snowboarder, but the hood headpiece has a more detailed decoration than usual. Although he’s pictured on the box with the makeshift rod and fish, he comes with an axe. You also get Jim’s faithful police dog to keep him company. 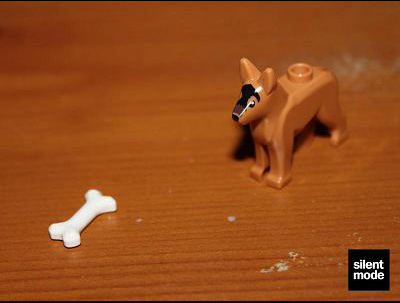 They (Lego) were even kind enough to give him a bone. Last but not least, a Santa Claus/Father Christmas figure – similar to last year’s City clothed variety. He comes with a criminal’s sack, filled with green and blue 1×2 tiles, and his own brand of fireplace. Using the lid from the box, I had a go at creating a scene using the models and figures in the set. I managed to incorporate everything except the desks. 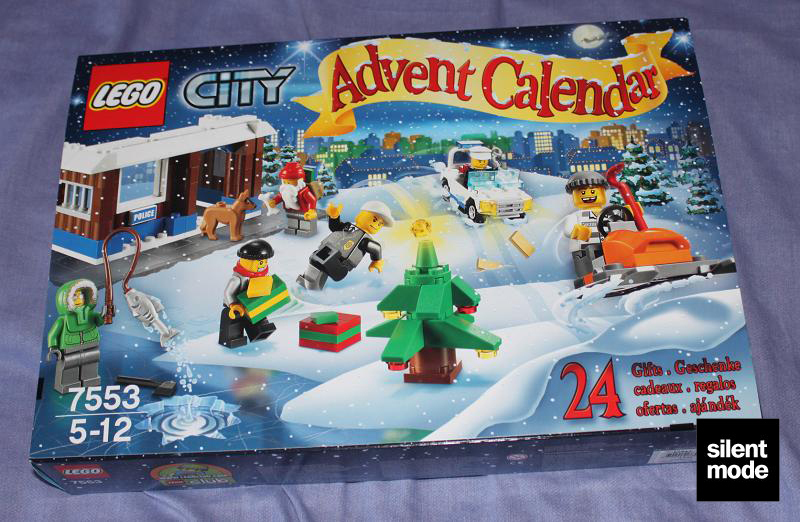 I don’t usually buy sets these days, and even though I’m a Town/City fan I wasn’t overly excited about the Police theme in the advent calendar. But I think as a whole it has a good selection. 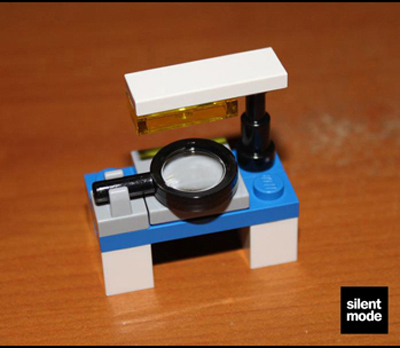 Even if you don’t like the models provided, there’s a good choice of parts to use in your own creations. 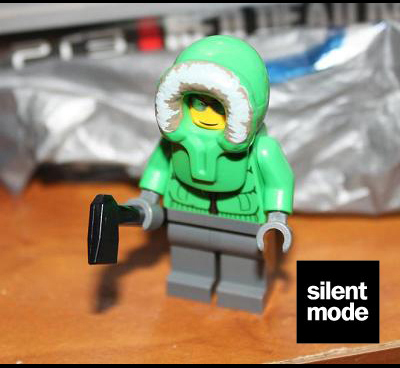 The highlight of the set for me is the hoodie minifigure, which stands out visibly from the rest of the set and looks the most desirable. I’m not sure what his actual role is, but I’ll probably find myself collecting a few of those torsos. The safe and the police dog are also great. I think the price point is slightly high, even though it’s priced less than last year’s calendar (at GBP 24.99), but I suppose it’s justified when taking packaging into account. It might be worth grabbing one of these closer to the big day, hopefully when they’re discounted. Some rather good models for the number of pieces used. I'm not sure the skateboarder parts fit the Police theme, and it would have been something to see different heads (other than the stereotypical ones) used for the criminals. No detailed instructions - just a picture of the assembled model at the back of each door - but everything's easy to build. 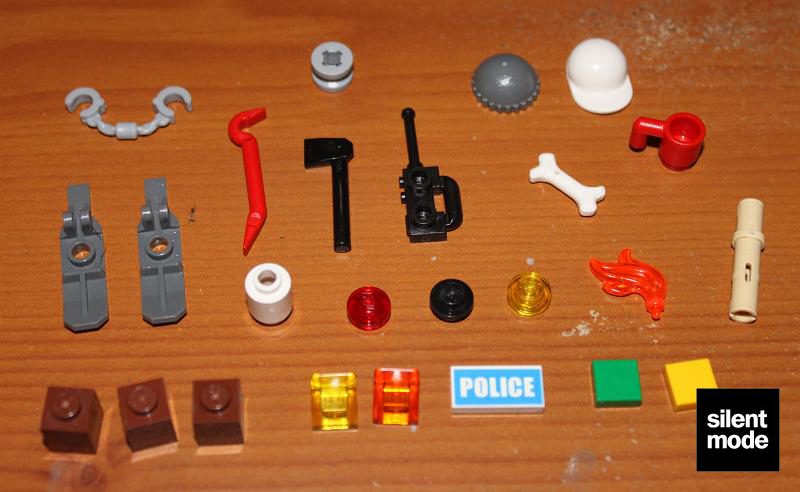 A few hard to come by pieces (probably more so than the last City calendar) scattered among a number of useful parts. 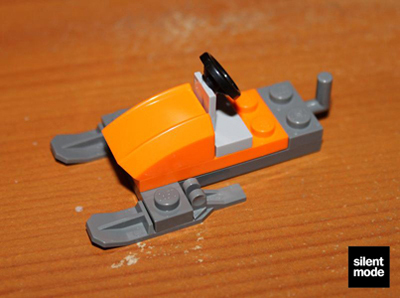 Probably the most playable aspects of the set are the snowmobiles. 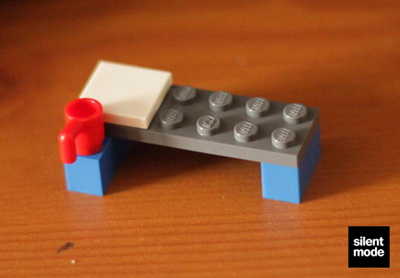 There's not much you can do with the rest without incorporating them into other sets or MOCs. 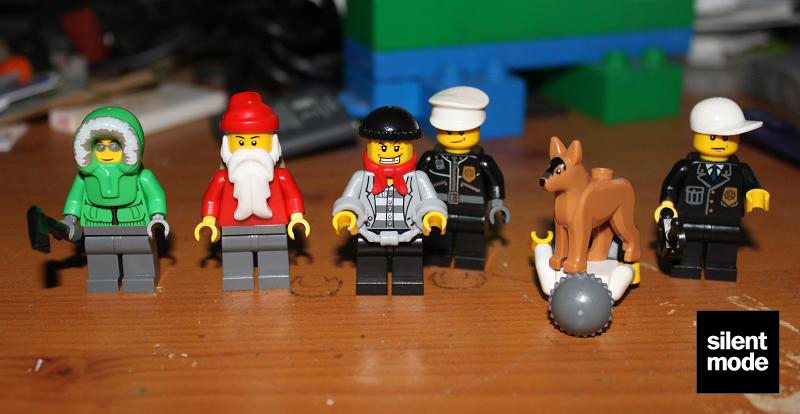 At least there are six minifigures and a dog, however. Less expensive than last year's offering at retail price. 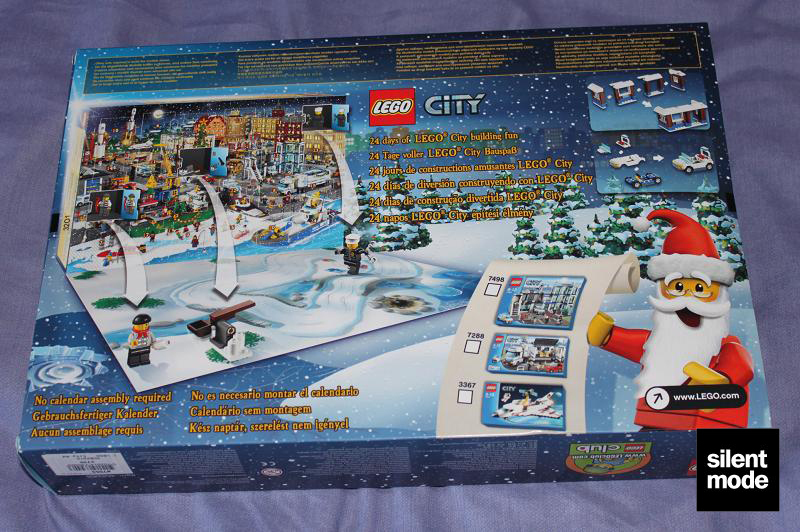 Taking the box into account, it's a similar price for another City set with the same number of pieces. Based on these scores I’d give this set 7.6/10. This is how the dog came packaged. I am not making this up.